Join us at the National Hardware Show May 7th through 9th at the Las Vegas Convention Center, North & Central Halls in Las Vegas, Nevada. 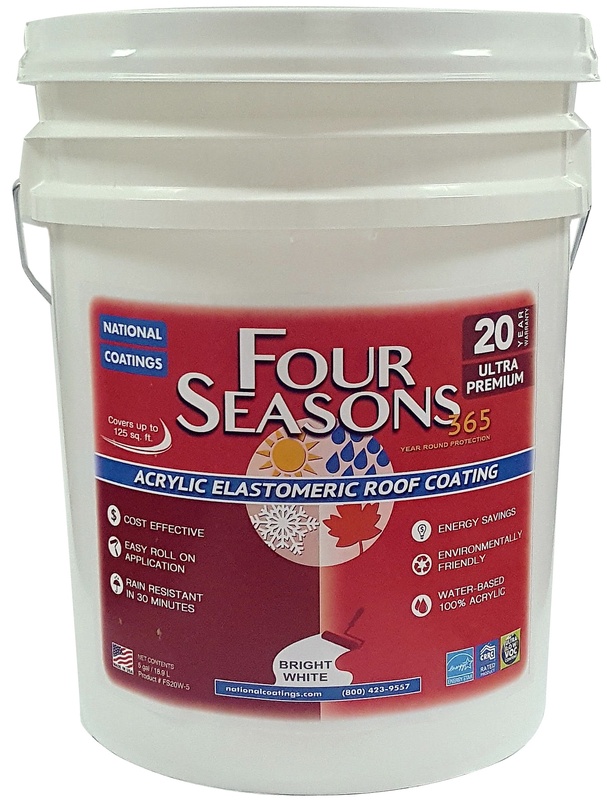 We will be at booth #4908 showcasing our Do-It-Yourself Four Seasons 365 Ultra Premium Roof Coatings and Products for the end user. These water based acrylic coatings offer 12 and 20 year product warranties and our solventless silicone coatings offer a 50 year product warranty. Differentiate yourself from the rest! 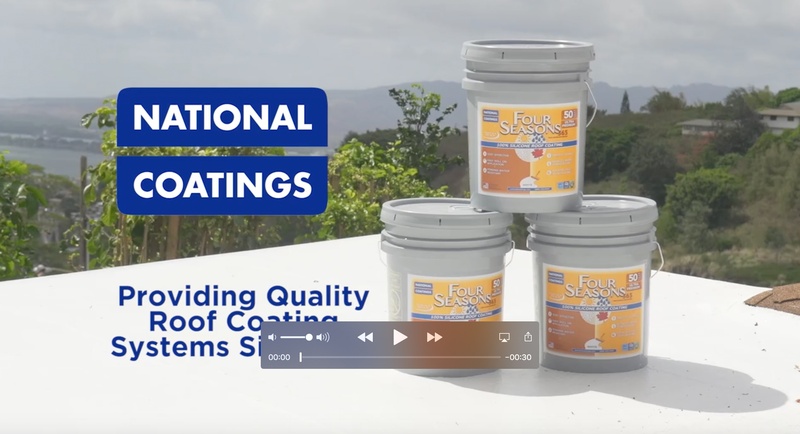 With over 36 years of roof coating experience in the commercial and industrial markets, National Coatings now offers a watertight, superior roof coating solution for the do-it-yourselfer! We look forward to seeing you - Stop by our booth #4908 to learn more! 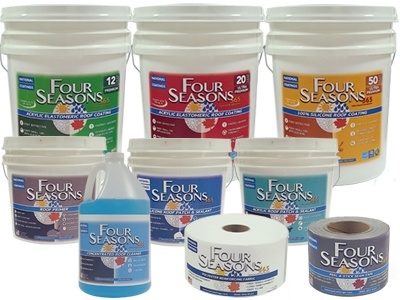 If you are unable to attend the show but are interested in additional information regarding our Four Seasons Product Line, download our FREE Four Seasons Brochure! 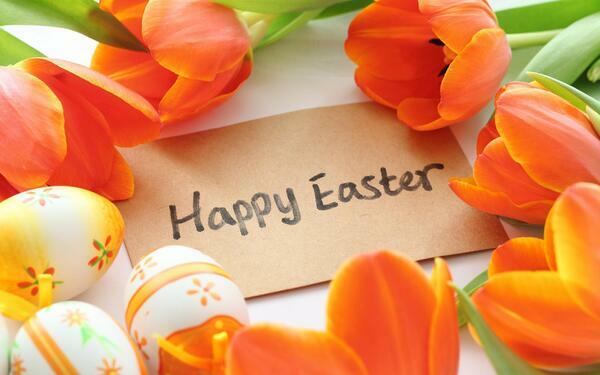 We wish you and your families a very happy Easter! Multi-purpose, acrylic, elastomeric coating for use over a variety of substrates including asphalt, BUR, cap sheet, previous coatings, TPO, EPDM, SPF, concrete and metal roofing. 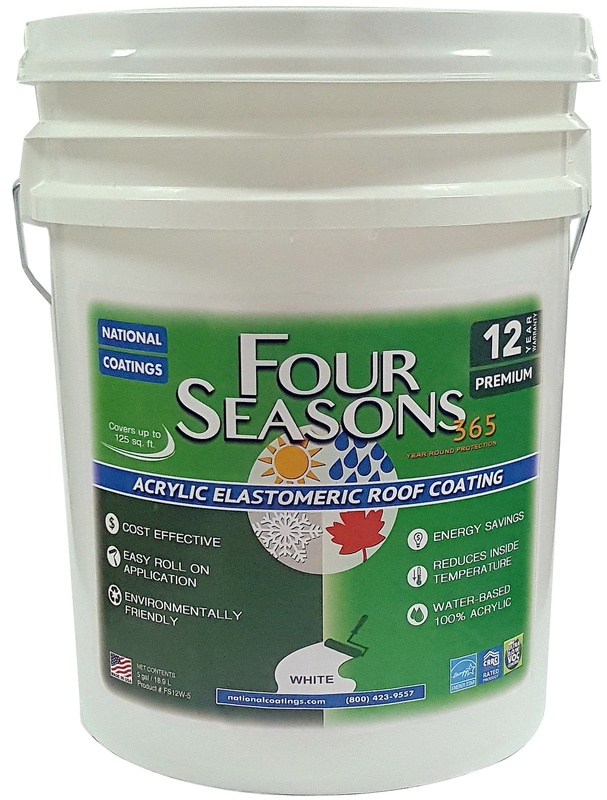 Four Seasons 365 Acrylic Elastomeric Roof Coating provides durability, energy savings, prolonged roof life, reduced life cycle costs and a 12 year limited material warranty. Multi-purpose, acrylic, elastomeric coating for use over a variety of substrates including asphalt, BUR, cap sheet, previous coatings, TPO, EPDM, SPF, concrete and metal roofing. Rain resistant in 30 minutes. 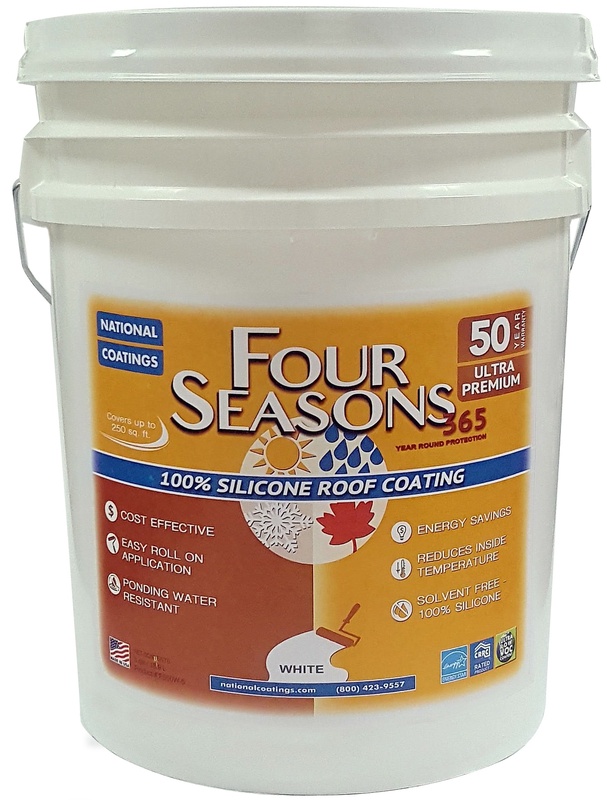 Four Seasons 365 Acrylic Elastomeric Roof Coating provides durability, energy savings, prolonged roof life, reduced life cycle costs and a 20 year limited material warranty. 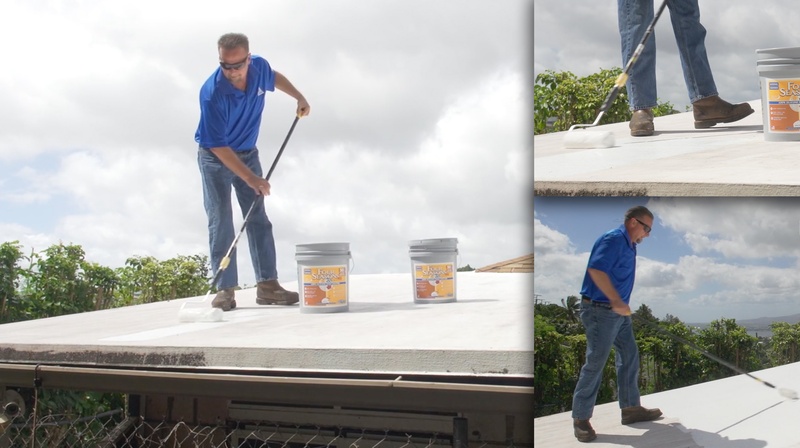 Ready-to use, roller grade, high solids, single component, moisture cure fluid applied 100% silicone roof coating. It provides elemental protection for architectural surfaces such as vertical walls, masonry, concrete, metal, single ply roof membranes and asphalt based substrates including granulated cap-sheet and a 50 year limited material warranty. Non-corrosive, biodegradable, water-soluble cleaner used in the preparation of roof surfaces prior to coating application. Engineered to seal holes and cracks around flashings, joints and various roof penetrations. 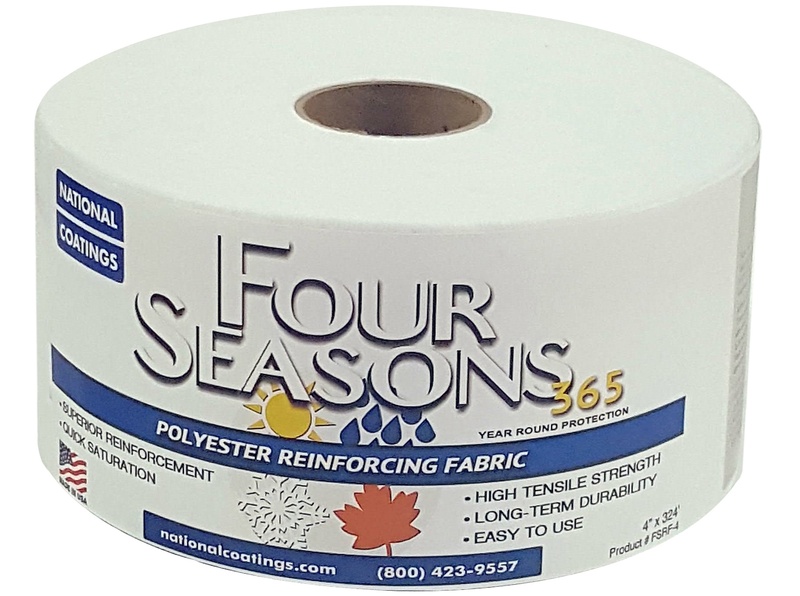 To learn more, download our FREE Four Seasons Product and Application Brochure for additional information.